Saving energy and saving money should not be your sole responsibility as parents. Your kids must also learn to contribute in keeping the electric bills down. This way, your effort will not get wasted and at the same time, your kids will learn good values while growing up. Teaching your kids the importance of saving energy should be your first goal. Take note that making them understand the value of being energy efficient is more effective than enumerating the ways to save energy and leaving it at that. Teach them how conserving energy helps the environment. Tell them stories or read educational books about the importance of energy. You know very well that kids tend to follow what elders do. Practice what you preach. You may have listed and posted a litany of things-to-do to conserve energy but if you don’t follow them yourself, you cannot expect your kids to follow it too. Do not just tell them to turn the lights off before leaving their room; show them by always turning the lights off every time you leave a room in your house. Education and leading by example are a good combination if you want to make good habits stick. Find educational materials where your kids will learn the value of conserving energy as well as the ways on how to save it. Computer software, educational websites, books and television shows that educate and entertain kids would really make a difference on how well they will respond. This is especially applicable to kids from 5 to 10 years old. Family activities should not limit to eating, playing and entertainment. Chores can also be a good way to bond with your kids. Manually wash the car, water the plants, clean the table, wash the dishes, clean the house etc. These are some of the things you can do with your kids while conserving energy. Teach your kids according to their age. Kids of different ages have different attitude on things around them. If your 5-year son doesn’t know how to turn off the lights before leaving the room, all you need to do is to talk to him well about its importance and showing him that you practice what you teach. Your 10-year old daughter may require a different approach like showing her your electric bill and explaining to her that it will greatly help if she will change her bad habits. You are teaching your 5-year old good habits while you are teaching and emphasizing your 10-year old good habits and responsibility. Same thing applies to kids of different ages. 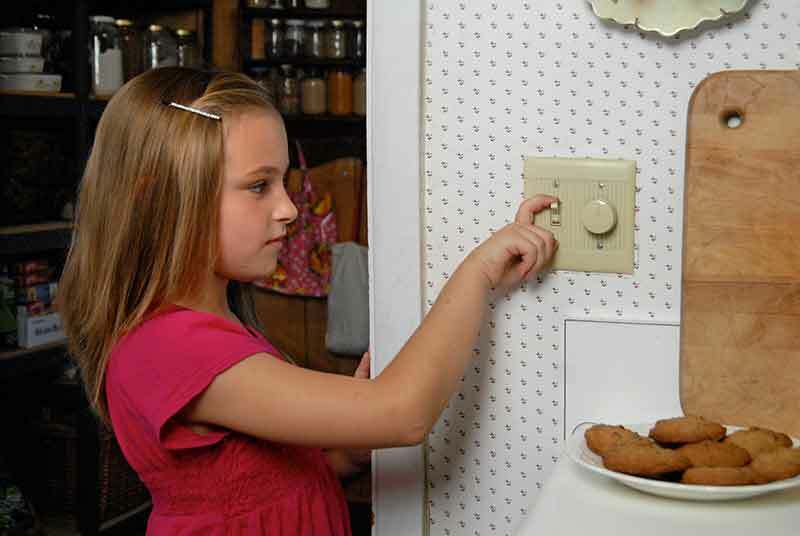 The point is, make sure that you teach your kids proper ways to conserve energy using an approach suited to their ages. *Energy saving tips for kids. 1-Turn off the water while brushing your teeth. 2-Always turn the lights off before leaving the room. 3-Turn the computer off after use. 4-Do not hold the refrigerator open. 6-Use natural light if possible. Saving energy is not so hard if your kids are involved. And just like any family activities you do, energy conservation should be fun, educational and driven by good motivation.